1pc/EPE/inner box, suitable inner boxes to a safe export carton. Laser engraved characters for excellent durable. Top metal panel with threaded bolt solution. PS/2 or USB connector are available. Semi or full customization available. Stainless steel material design, IP65 Water-proof,dust-proof,Vandal-proof performance,and long lifespan. 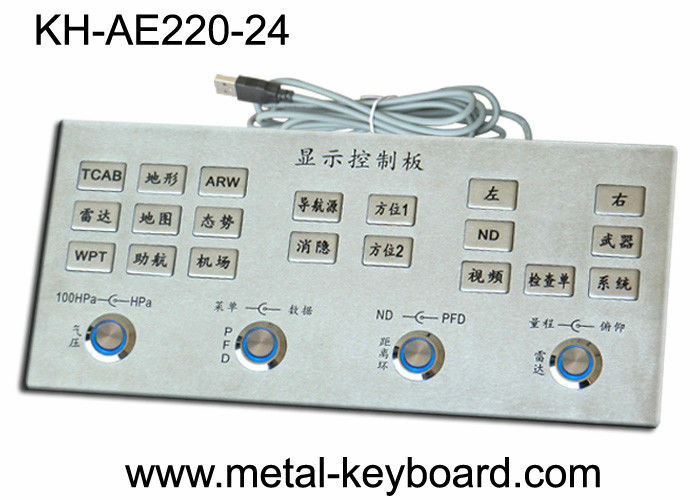 Industrial Metal Keyboard, A Rugged vandal resistant high reliability keyboard, made of Stainless Steel Material that is dust-proof, water-proof,vandal-proof, anti-rusty,anti-corrosive. Ideal for applications in the public areas and harshest conditions, such as Info-Kiosk, Internet Kiosk, Check-in Kiosk, Boarding Kiosk, Medical Kiosk, Industrial Control Platform, etc.